Amanda Clayton, 25, hit headlines with keeping her food stamps when she collected $1 million from the lottery, she was found dead Saturday. *Back in May, we reported on a young woman named Amanda Clayton who was a food stamp recipient when she hit the lottery for a million bucks. Well, of course her next plan of action, so the state thought, would be to stop collecting food stamps. NOT! 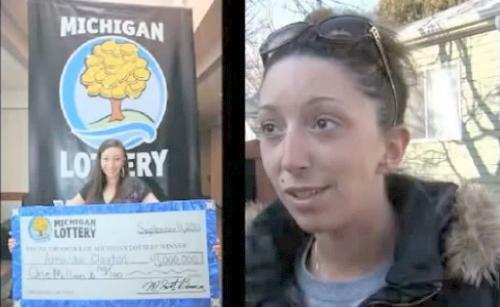 She collected her winnings and her food stamps without a second thought. But, unfortunately, she was unable to enjoy her windfall or the government assistance for very long because she was found dead of an apparent drug overdose Saturday morning, according to the Huffington Post. Maybe someone was after her money and she was lured into some sort of drug binge. Who knows? Everything will be considered suspicious after her death.